We'll sing songs to make you feel great with the help of our live band– and there will be inspiring stories and readings to further explore the wonder of our world. Doors open at 10:30am for coffee and donuts, and the event kicks off at 11:00am sharp. Because this is a big event, assembly will run 75 minutes this time. Everyone is welcome. We provide two babysitters, so bring the family. 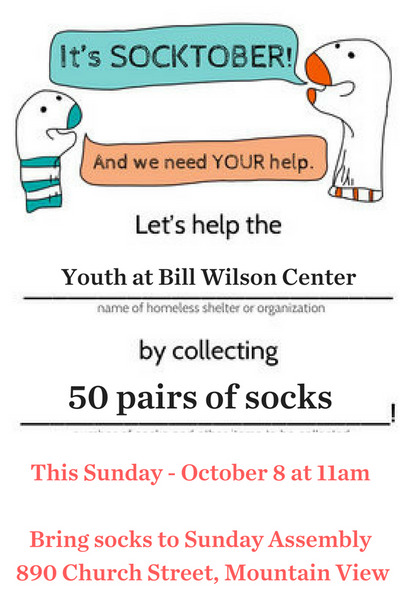 Sunday Assembly is free of charge, but donations are gratefully accepted.